The Capitol scheme will consist of almost 100,000 sq ft of Grade A, next generation retail and office space, located in the heart of Cork City Centre. The retail space is designed to allow for occupation by one or multiple users. The offices are designed and will be built to Gold LEED standard. The Oyster Tavern will be restored to its original use as a restaurant/bar. Market Lane will be transformed. The Capitol will combine a major retail destination with world class offices. The Capitol will deliver a very unique offering to Cork city centre with up to 100,000 sq ft of Grade A retail space. It is the first time that this quantity of space has been available in one unit in Cork city centre in many years, balancing the western end of Patrick's Street with the eastern end. Cork City's retailer hierarchy, Patrick Street is set for substantial redevelopment in the coming months, including the expansion of Penney's and the reconfiguration of Merchants Quay Shopping Centre. The Capitol presents a substantial opportunity to a major retailer of scale to trade on Cork's High Street. 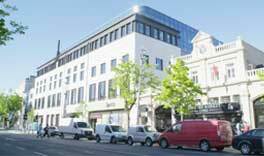 The Capitol is 100% occupied and comprises of up to 54,000 sq ft of Grade A Gold LEED standard office space in Cork city centre. Existing tenants include AlienValut, Facebook and Huawei. With capacity for up to 350 people, its flexible design allows for larger occupiers or sub division for smaller scale occupiers. The Capitol, designed by award winning architects Wilson Architecture, provides breathtaking views over the city and gives occupiers the opportunity to locate in the heart of the city centre within minutes of all transport links. Shoppers already converge into the centre of Cork to share in an exciting shopping experience, and now The Capitol will enhance this and give the discerning shopper an unmissable opportunity. The Capitol will be designed to meet the relevant standards for an A3 BER (Building Energy Rating) Certificate. The office element of the development will be designed to also achieve a Gold LEED Precertification Accreditation. 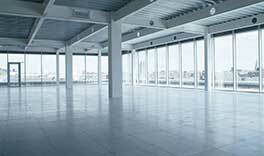 100,000 sq ft of Grade A, next generation retail and office space located in the heart of Cork City Centre.